It is a non - intrusive technology that aides a Home Inspector in gaining a new perspective of a structure, specifically regarding efficiency. 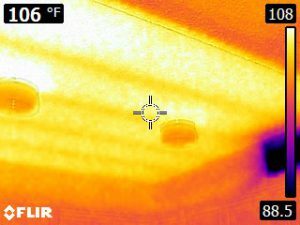 Tools that use Infrared Thermal technology "see" temperatures and when used during an inspection, can help identify problems that are unseen by the human eye. 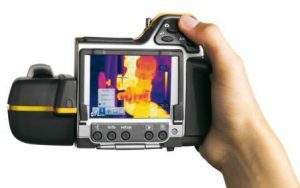 As a result of using temperature as a gauge, these Infrared Thermal tools can be used for many purposes. There was even an news story about Firemen using Infrared Thermal Imaging to save a man's life during a fire! However, the most common use is to determine whether or not there is sufficient insulation or to ensure that it was installed correctly. With that, these tools can effectively discern problems such as heat loss, moisture intrusion and unexpected heat spots. The benefits of knowing that such problems exist in a structure range from identifying possible pest infestations like termites boring through wood or rats hiding within the structure to leaks. Lesser, though still important information that can be gathered. 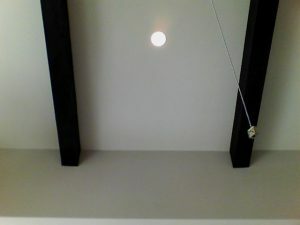 Information like where studs, beams and rafters are located. 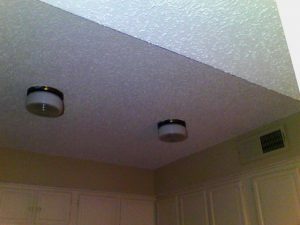 Where plumbing pipes or heating and cooling ducts are placed and asses vent fans. 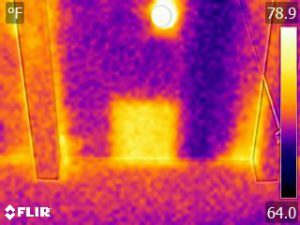 Some drawbacks are that Thermal Imaging tools only read temperatures and cannot see through solid objects. Here are some examples of what the a Thermal Imaging tool is "seeing." The first image is what we see with our eyes and they second image is through an Infrared Thermal Imaging tool. The lighter regions indicate that there is a higher temperature, meaning the insulation is sufficient. While the darker regions indicate a cooler temperature, which in turn tells us that there may be some deficiencies in the insulation. Here we see a well insulated area of a structure, which is indicated by the large area of light color, meaning warmer temperatures. It is also important to note that this could be an indicator of a hot spot. While these tools are undoubtedly useful, they cannot predict the future of the structure. Be sure to keep a look out for any discrepancies that can be viewed by the human eye, be vigilant! If you see something that seems like you could use an extra pair of "eyes," call us and we will use all of the tools at our disposal.